Battle Stuff Now Available in Kinect Fun Labs! 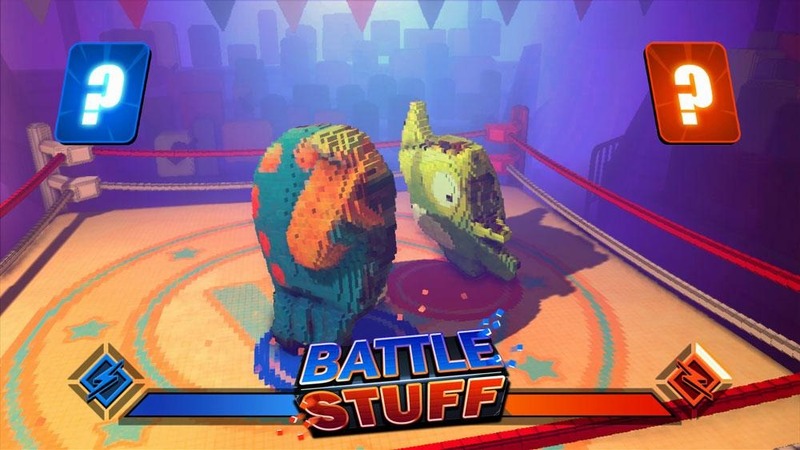 Just in time for the holidays comes our all-new Kinect Fun Labs Gadget, Battle Stuff! With Battle Stuff you get to use the Kinect to scan household objects of your choosing for the Xbox 360 to then render into 3D combat-ready versions. Two items enter, one object becomes champion! The age old question “Who would win in a fight? Mom’s Tea Kettle or Your Favorite Baseball Cap?” can at last be decided! How much does such amazing fun as Battle Stuff cost? Well, as a very special holiday gift from us to you we’re only charging… $0. That’s right! Battle Stuff is free. What are you waiting for now? Go download Battle Stuff now! Be sure to share your favorite household champions in the comments below! Air Band and Mutation Station are Free at Last! As a special treat to all Kinect fans courtesy of the good people at Volkswagon Kinect Fun Labs Gadgets Air Band and Mutation Station are now free! “How much” you may ask? FREE! Others might ask, “Ok, but how many is that in Microsoft Points?” That would be ZERO! But wait, there is more! Some faithful fans discovered a crashing bug with Mutation Station. Thanks in part to your help and the tireless work of the Fun Labs Scientists we’ve fixed this. Everyone can now Mutate to their hearts delight! What are you waiting for? Head over to Kinect Fun Labs and download these awesome gadgets today!